Methods of hair oiling. Which one is the best? There is a wide variety of hair oiling methods. Women, who have never reached for hair oils, often do not know what to start with. Is it better to apply oil all over hair or maybe do an overnight treatment? Apply oil on dry or rather wet hair? Is scalp massage relevant during hair oiling? This article presents the most common methods of hair oiling and describes which way is more suitable for your hair and the lifestyle you lead. If you are going to oil your hair for the first time in you life, it might me better not to leave oil on hair for too many hours. Even if you matched it to the porosity of your hair – it is best to ‘acquaint’ your strands with this type of care. Therefore, the first oiling should last about an hour or two. 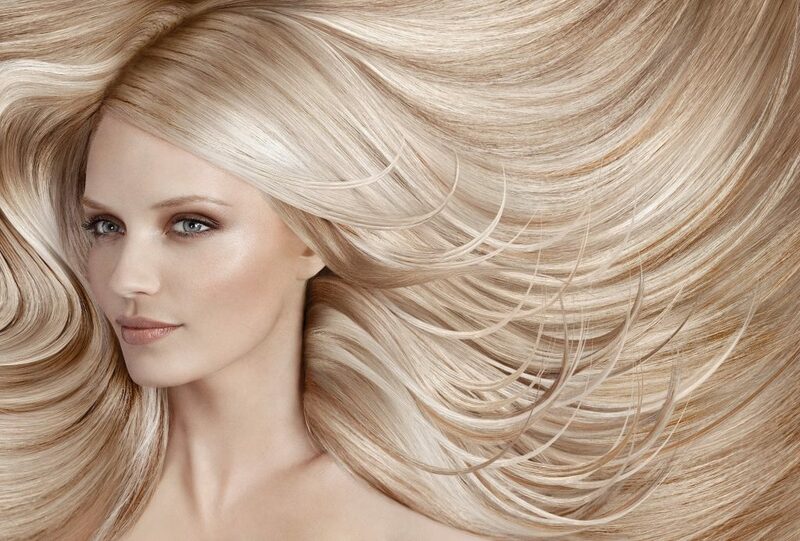 If your hair is not extremely damaged – you can apply oil on dry strands. However, if you want it to work a bit stronger, moist your wisps first. For even better results it is recommended to use a herbal infusion to dampen it. Make sure that the herbs you use, have positive effects on hair, such as: nettle, horsetail, licorice, chamomile. In addition, if your hair require moisture, you can prepare an aloe water mix and spray it all over your hair. When applying oil you cannot forget about a few-minute scalp massage – this will stimulate blood circulation, improve the absorbability and strengthen hair bulbs to work. Next, put on a plastic shower cap and wrap with a towel. After the desired period of time, wash everything off with a gentle shampoo free of SLS and SLES. If, after this kind of care, you will be satisfied with the condition of your hair, next time you can perform an overnight hair oiling. Simply leave oil for the night and wash it off in the morning. However, if you lead an intense lifestyle, and it is not so easy to devote some time for longer hair oiling, simply apply it on damp hair right after washing. Women whose hair has high porosity can use oil as a leave-in conditioner without rinsing, even though you regularly provide it with overnight treatment. The more often you oil your hair, the better protection, regeneration and nourishment it receives. Another quick and easy method of hair oiling is daily application of oil on dry hair avoiding scalp. Oil is quickly absorbed into hair leaving it soft, shiny, resilient, moisturised and nourished. This method of oiling is very comfortable, because on dry hair, oil can be applied anytime, almost anywhere, even several times a day. The more damaged the hair, the more support from oils is need. If you are worried that oil will weigh your hair down, reach for an atomizer and pour oil combined with a herbal infusion into it. This is the last method of hair oiling described (so called oiling with a mist). It is a delicate process, but very effective. Hair oiling with a mist can intensify the effects of an all-night oiling. The mist will also improve the condition of hair and help create a nice hairstyle. It can, therefore, be used as a kind of a spray for hair styling or daily protection against adverse weather conditions. Remember, however, that extremely dry and damaged hair will need some deeper and more intensive nutrition, than the one offered by the mist or everyday dry heir oiling. You should strengthen not only hair, but also its roots at least once a week. Poor hair condition and a good oil. Similarly to any other body part, hair also needs proper care.